Thank you for visiting Eyetours website. As the owner, it is my pleasure to greet you and assist you in creating an amazing visit to Israel. I provide tailored-made tours for individuals, families, and large groups all over Israel. I began guiding and creating itineraries for individuals and groups in 1997. It is my goal that while on your tour numerous familiar Biblical stories will come to life. As you you walk in the footsteps of our ancestors, you will feel inspired and awed to know that you are standing in the same places where so many episodes of our Biblical history took place. During the tour, you will also explore modern Israel at its finest, taking in all the sites, sounds, and tastes that this ancient land reborn as a modern Jewish State after 2000 years has to offer. This mosaic of cultural modernity will entice you and leave you eager to return again and again. When guiding younger children, game cards or other activities are used to keep the children engaged, interested, and of course, having fun. My philosophy when guiding is to help the tourist feel connected to the land, the history, and the people of Israel, all while having a great time. I believe that it's important to focus both on the modern history of Israel as well the Biblical history. We have been blessed with this beautiful land and it is our job to travel its length and breadth and learn as much from it as possible about our heritage. I live in Efrat, 15 minutes south of Jerusalem. From my home, I can see historic Jerusalem and the majestic Judean Desert. My love, passion, and enthusiasm for Israel will be contagous on our tour. I look forward to meeting you!!! Judy is licensed and insured to drive small groups in her fabulous 7 seater Land Cruiser jeep Deluxe comfort on the roads.... exciting adventures off road!! For larger groups, alternate transportation will be provided. "“Lift up your eyes and see from the place you are now-: northwards, southwards, eastwards, and westwards. • Tour the Shomron - walk in the footsteps of the Patriarchs Abraham and Jacob, hear the words of the prophet Samuel echoing though the hills, visit the site of the Mishkan (Tabernacle) where Hannah pleaded with God, follow the path of the Israelites as they entered into the promised land and pledged their faith to Hashem. This tour can be expanded to include visiting a winery or other business as well as visiting a few communities where you'll be able to meet some of the residents and learn about life in this beautiful area of our country. • Gush Etzion and Hebron- A visit to King David's backyard: Although we will only be a short distance from Jerusalem, our tour today will cover a span of 3800 years as we hear stories about dedication, romance, family loyalty, blind faith, courage, dispair, military defeat, and bittersweet victories. Come see how the history of yesterday is the pillar of motivation for today's citizens of this beautiful and developing area. 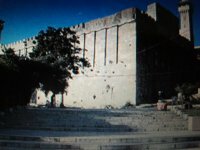 Come see the latest events and attractions in Israel!!! Performance 0.5 - A Defining Moment - special production performed by the School of the Visual Theatre. Kfar Etzion Heritage Museum has a new movie presentation about the establishment of the original Kfar Etzion. The movie details the emotional challenges that the founding members of the kibbutz experienced and the subsequent battle that ultimately lead to the fall of Gush Etzion in 1948.